On Wednesday 9th March, a group of students from Form 5 of Handaq Secondary School visited the Heritage Trail of the local Manikata Rural Cooperative. 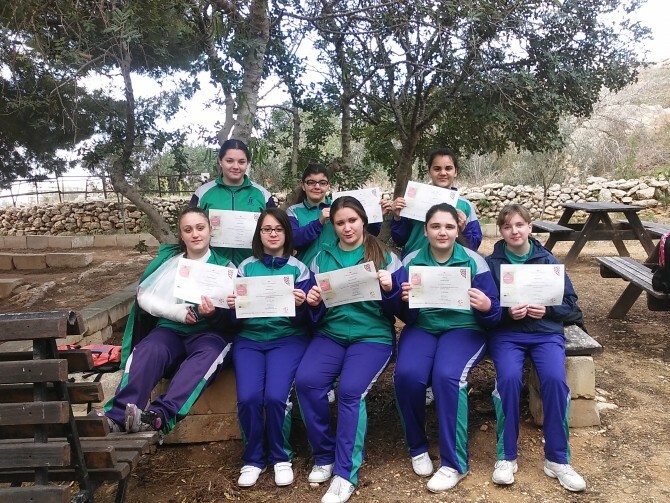 The group participated to the visit as part of the prize awarded to the class, which arrived first in the Photographic Competition “Not Just Cheese! Photographing the World’s Food”, with a photo reportage on sustainability and Maltese endemic species. The aim of the visit was to expose the students to various sustainable practices of food harvesting and farming as adopted by the cooperative at Manikata. 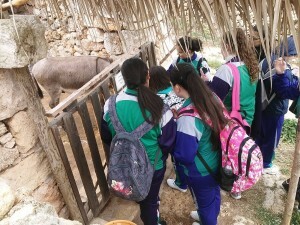 The group, guided by the Cooperative Educational Officer Veronica Farrugia, who shared her extensive knowledge and experience with the students, had the chance to explore the scenic grounds of the Trail, whilst also gaining insightful and fruitful information on sustainable ways to destroy pests during the farming process, for instance by using sheep’s wool instead of harmful pesticides. They were also given the chance to feed fresh produce to the various animals on the ground , observe the cultivation of fruits and vegetables such as strawberries and cabbages, gain information on the history of Manikata and the cooperative and most importantly understand what being a cooperative means and what it entails from a social economy perspective. Overall, the visit was received very well with the students and they actively participated and asked questions throughout the whole experience. This sheds light on the need to expose young students more and more to such good practices and involve them actively in the learning process through alternative educational means, especially when it comes to food production and cultivation, since it is ultimately such practices which are positively impacting our society today. At the end of the visit, the students were presented with their winning certificate from the EAThink team. ← Les élèves du Lycée Malherbe au Ministère !